A woman has made a startling claim about how drinking her dog's urine has helped her cure her acne. A woman has claimed drinking her own dog's urine helped clear her bad acne in this horrifying video. 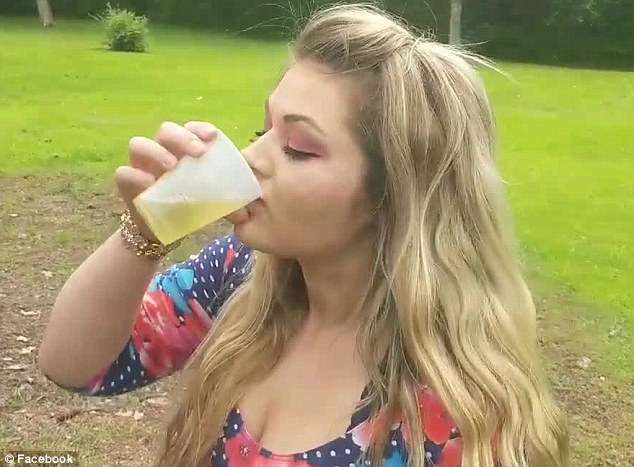 Using a plastic cup, the woman collects urine from her dog before drinking it in full during the minute-and-a-half clip. 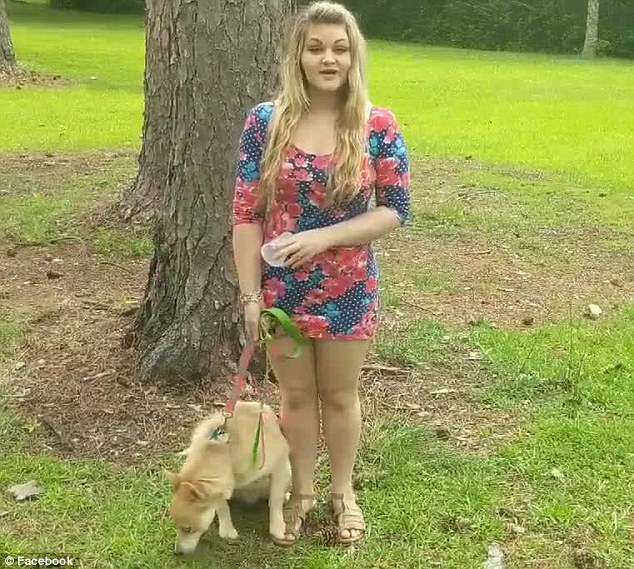 The horrifying video appears to be real after the woman is able to chug the cup of urine right after she collects it from dog. Drinking dog or human urine is known as urine therapy, and it was a practiced form of therapy in ancient China, Rome, Greece and Egypt. 'Urine is mostly made up of water, lots of urea, creatinine, various electrolytes, uric acid, trace proteins, and low levels of antibodies and enzymes,' Joy McCarthy, a certified holistic nutritionist, told Allure. She says that drinking urine from an animal could be an unsafe route for the body because what the liquid might contain. 'Herbicides have been detected in dog's urine, likely from herbicide-treated lawns, antibiotics, and hormones, so I really don't know that it's the safest choice,' Joy says. A common misconception people have is that drinking ones own urine could help in a survival situation to prevent dehydration. As for the woman's claim that the urine could cure cancer, there lacks a sufficient amount of evidence to support the method. Dr. Amy Shah, a functional medicine doctor,tells Mind Body Green that small amounts of urine therapy could be beneficial, but she would not prescribe it as a cure for diseases at the moment. 'While most of urine is water, waste, and urea, I still cannot recommend this as a viable alternative to the many diseases it is touted to cure,' she says. Consuming that waste without anything filtered out could cause more harm than good compared to the modern medicine available, Dr Shah explains.